Every year, we add new benchmark tests to 3DMark. Each test is designed for a specific class of hardware or a particular API. Since 2013, we've added tests that use DirectX 12, tests that run at 4K, tests for notebooks, tablets, and smartphones, as well as new features like stress testing and an API Overhead test. Today, we'd like to tell you about two new tests that will take 3DMark into new areas. One features real-time ray tracing. The other is for the new category of Always Connected PCs and other mobile computing platforms. Night Raid is a DirectX 12 benchmark for PCs with integrated graphics. It is an ideal test for laptops, notebooks, tablets, and other mobile computing devices. You will also be able to use it to benchmark the latest low-power, Always Connected PCs powered by Windows 10 on Arm. Later this year, we will release a new 3DMark benchmark test that combines real-time ray tracing with existing techniques to enhance reflections and other effects. The benchmark will run on any system that supports the DirectX Raytracing API. The new benchmark is being developed with input from our Benchmark Development Program partners including AMD, Intel, NVIDIA, and other leading technology companies. We are working especially closely with Microsoft to create a first-class implementation of the DirectX Raytracing API. We expect to release this new test in Q4, 2018. 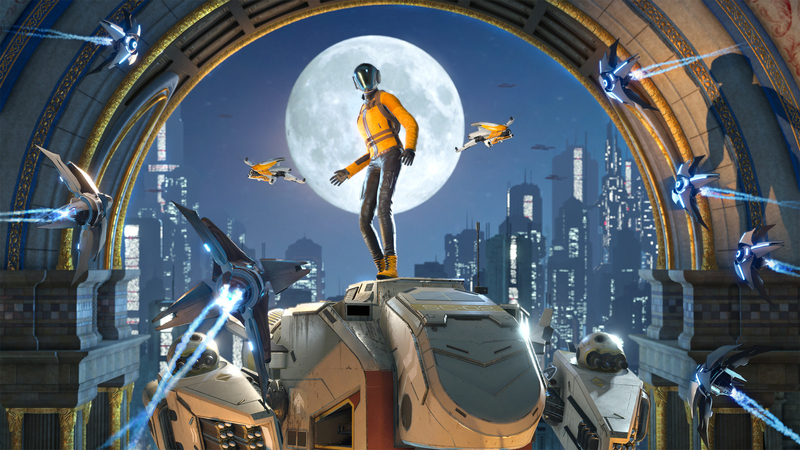 3DMark is a benchmarking app for gamers, overclockers and system builders who want to get more out of their hardware. With its wide range of tests, 3DMark has everything you need to test the gaming performance of your PC. Find out more.